As enterprises migrate more business-critical applications to the cloud in order to take advantage of greater scale and efficiency, the pressure is on for SOC teams to move security with them. ExtraHop Reveal(x) partners with Microsoft Azure to provide the east-west visibility and deep contextual insights you need to preserve the security of your applications and data no matter where they live. Reveal(x) combines automated discovery and asset classification with full payload analysis and cloud-based machine learning for threat detection and investigation. By natively integrating with Azure, ExtraHop gives SecOps the power to easily monitor and respond to incidents in the hybrid cloud. Cloud is the future of digital business but complex architectures and the opportunity for misconfiguration leave you open to potentially catastrophic risk. 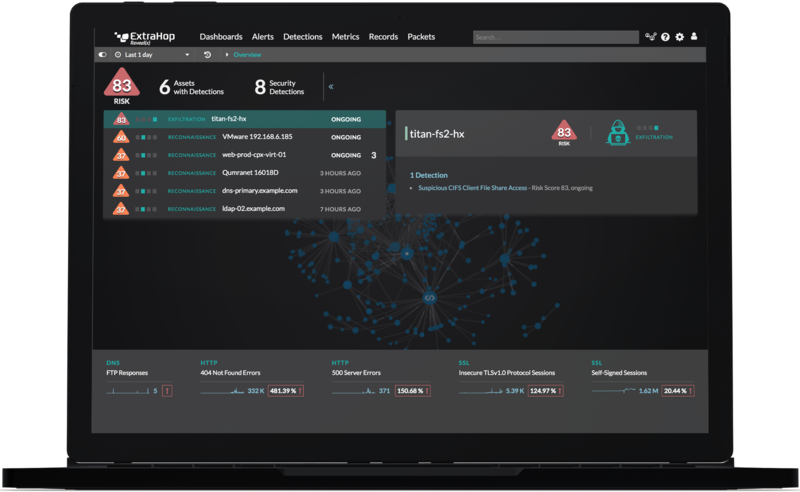 ExtraHop Reveal(x) for Azure automatically discovers every cloud instance and begins identifying suspicious activity immediately, delivering real-time visibility at cloud scale. By integrating and contextualizing suspicious events into a unified analytics and investigation environment, Reveal(x) helps cloud-focused SOC teams respond with confidence and speed. With the Azure Virtual Network Tap, Reveal(x) delivers an always up-to-date inventory that you can navigate with a single UI. In a single, unified interface you'll see devices, signal metrics, and behavioral analytics across the whole hybrid environment. Reveal(x) decrypts TLS 1.3 in real time so you can maintain compliance while spotting threats and evaluating risks in PFS deployments. With machine learning guided on 4,600+ wire data metrics, Reveal(x) detects and surfaces cloud-specific threats with no false positives. Reveal(x) correlates flows, metrics, transaction details, packets, and threat intelligence to map every threat across the attack chain. Reveal(x) integrates detection with investigation and partners with automation systems like Phantom for immediate threat response. 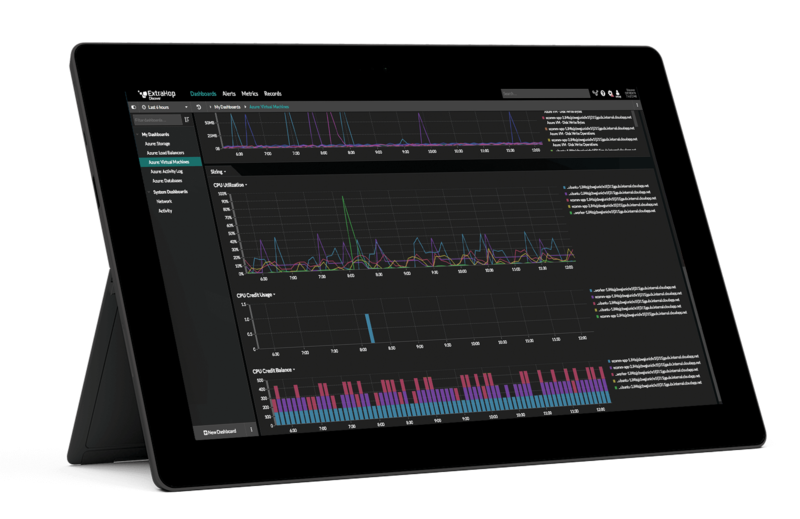 Reveal(x) uses Azure's industry-first virtual network tap to take you far beyond flow logs. Unlike any other solution on the market, Reveal(x) analyzes and decodes more than 50 protocols at 10 Gbps of data per virtual appliance—including full support for Azure SQL Databases and Azure Blob Storage protocols. Reveal(x) also decrypts TLS 1.3 and other forms of encryption at line rate, out of band, to give you full visibility without any performance impacts or security risks. Threats in your cloud environment fall into three primary categories: misconfiguration, malicious data access, and application security. By specifically targeting these categories and integrating real-time wire data detections with Azure Security Center metrics and Structured Threat Information Expression (STIX) data, Reveal(x) helps you prioritize security resources for quick, confident response in the cloud and on the ground. While the public cloud offers unmatched opportunity in terms of performance and scale, that freedom is a double-edged sword. The shared responsibility model means that cloud providers like Azure and AWS protect their physical infrastructure, but you&apos;re responsible for securing your virtual infrastructure and applications, as well as for identifying and addressing threats within your cloud instances. That means the unpleasant results of any misconfigurations, encryption failures, or other vulnerabilities above the hypervisor level rest on your shoulders alone. The best way to dial back that stress and reassure your organization that your data will be safe is to invest in full visibility and rapid detection of privilege escalation, rogue instances, and other threats inside the cloud. Stop data exfiltration, insider threats and more with your live interactive demo. Gartner: Clouds Are Secure: Are You Using Them Securely?